As gripping as the stories may be, series like Death Note and Bakuman. just wouldn’t be the same without the incredible art of Takeshi Obata. 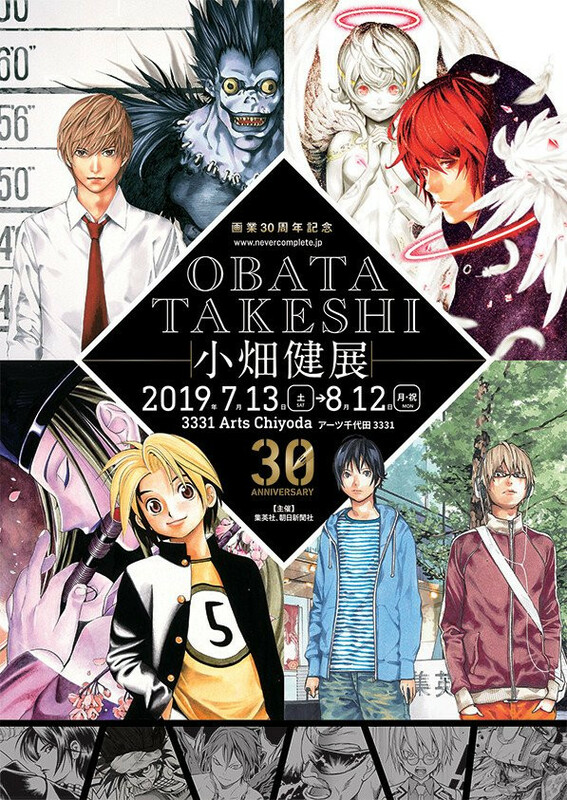 That art is going on display at the creator’s first art exhibit—Artist Activity 20th Anniversary Takeshi Obata Exhibition NEVER COMPLETE—which is set to run at Tokyo’s 3331 Arts Chiyoda from July 13 to August 12. Ahead of that, the contents have been revealed along with an amazing key visual. Showings will follow at the Nigata Anime Manga Museum from September 14 to November 10, and then at Osaka’s Daimaru Museum in early spring of 2020. The exhibition will consist of a manga portion featuring original art from Hikaru no Go, Death Note, Bakuman., and more, as well as an illustration section with work outside of manga series and a Never Complete section focusing on Obata’s latest, Platinum End.